AppPresser’s unique cloud-based app builder empowers you to create a mobile app, even if you don’t have any mobile app development experience. Connect your WordPress site using our plugins, and create the perfect app for your business. An iOS and Android mobile app can do things that a mobile website simply cannot do. Connect to your audience in a new way by engaging them like only a mobile app can. AppPresser empowers you to have the feeling of “Whoa, I just made an app!” like so many of our customers. 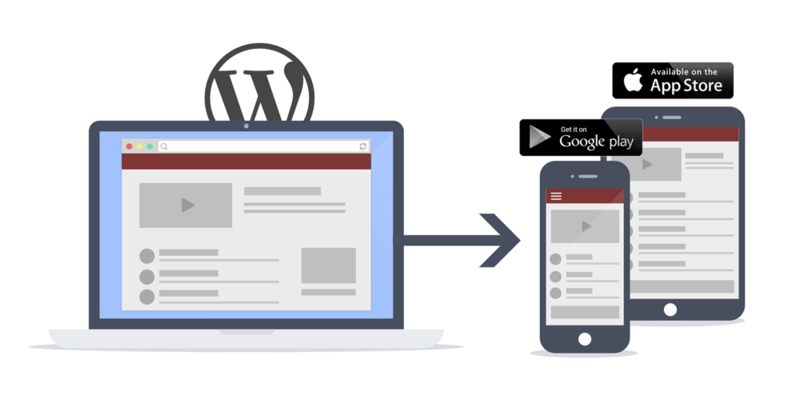 To get you there, we have created the easiest way to integrate WordPress into your mobile apps. We are different because we specialize in WordPress. In fact, that’s all we do. Our highly skilled team has spent hundreds, if not thousands of hours working on mobile apps and WordPress. We believe we’ve created the best platform for you to create your own mobile app that integrates with WordPress. You shouldn’t have to go to 2 different places to update your website and your app, that’s why we use your WordPress site to power the app. AppPresser is for businesses building a single app, and agencies/freelancers working with clients. You don’t need mobile app development experience, and you don’t need to write code, but some technical knowledge helps. If you can setup a WordPress site, you can build an AppPresser app. AppPresser has a unique set of components, or building blocks for you to assemble using our app builder. For example, you can use our BuddyPress component along with our LearnDash component, and create an online learning app that also allows students to chat and message each other. You can add your WordPress posts along with a login/registration component to make a premium, member’s only component in your app. The possibilities are endless. Create, customize, and test your app, and then submit it to the app stores. I just also wanted to say thank you for developing such a great app development tool for those of us who don’t know how to code it from scratch, but do know WordPress. It’s really helped us develop the app we’d always wanted to make but didn’t have the skills to do so or the funds to afford before. As a web designer/developer I felt comfortable customizing the look/feel of the app using CSS, the integration with WP is exactly what the doctor ordered (both API lists and the iframe approach), caching for offline support, and the integrated push notifications are so powerful. What type of apps can I build? AppPresser allows you to build an app from any WordPress website. Some examples include: church apps, school apps, event and conference apps, BuddyPress apps, WooCommerce apps, Membership apps, LearnDash apps, Nonprofit apps, and more. View example apps or more features. Looking for a team to help you build your app? We can help!